Originally comprising one of the segments from the pan-Asian omnibus Three Extremes...., Park Chan-wook's Cut constitutes a fascinating look at the South Korean auteur's mind when liberated from the confines of long-form narrative. This unhinged short, whilst embracing many of the recurring thematic tropes from across Park's work, allows for the director to engage with some of the more off-kilter and eccentric elements to be found elsewhere in his ouevre, heightened to a manner which may be unsustainable throughout the course of a feature length movie. The result is a short as boldly colourful as a Dario Argento classic, primary hues bursting from the screen, and as philosophically engaging as anything else found before in Asian Extreme horror. Lee Byung-hun stars; he's hardly mis-cast as an effortlessly charming, stunningly handsome and incredibly creative film talent. As movie director Ryu Jin-ho, Lee portrays a character with a seemingly perfect life - he's smart, rich and, somewhat gallingly, kind too. It would seem that Ryu was hardly the type of man to make enemies but, alas, he finds himself kidnapped by a mysterious lunatic (Im Won-hee). 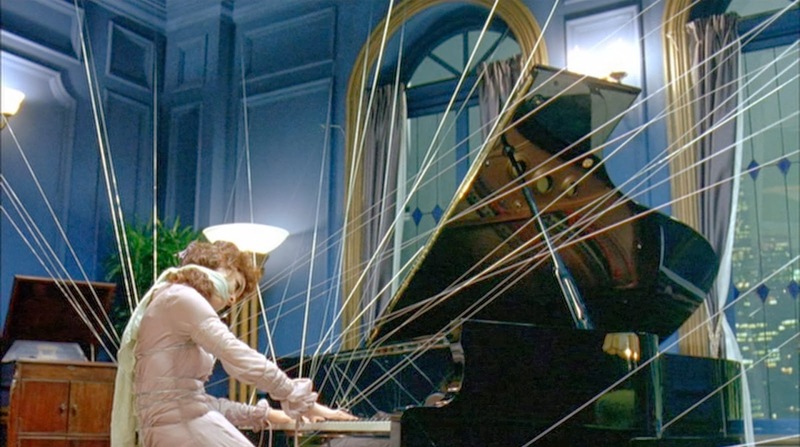 The kidnapper forces Ryu to take part in a series of sadistic games with the proviso that, should he fail, the director will be forced to watch as his wife (Keng Hye-jung) has her fingers chopped off one by one by the articulated piano wire which keeps her hostage. As to be expected with a Korean horror, Cut contains blood - visceral, lurid pools of it - but, on top of this, Park provides the set up with a Dostoyevsky-esque moral undercurrent which propels the piece. The kidnapper, it transpires, is everything that Ryu is not - unsuccessful, unknown and, as evidenced by his fondness for torture, certainly unkind. Rather than take perverse pleasure in watching a good man suffer, his ultimate victory would be to corrupt Ryu and, as such, readjust the karma of the universe back in his favour. Without his virtues, what would be left of Ryu? A game of cat and mouse ensures with a lot more than an innocent woman's fingers at stake. An incredibly stylised film, it's aesthetics are brutal but it's negotiations with moral philosophy are anything but - Cut is a rare film which engages both the guttural and the cerebral too.